Sweet. Best work by op-center so far. Awesome! These blury images u upload are very nice, keep it up! she ahs the right amount of equipment, problem is it's sitting way too low on her body. it's called a chest rig for a reason. elegent and effective are two completely different things my friend. She can be my back up in the field any time or day of the week. Um, no they're not. Elegance is beauty in simplicity. That chest harness is the simplest way to carry all the necessary gear. 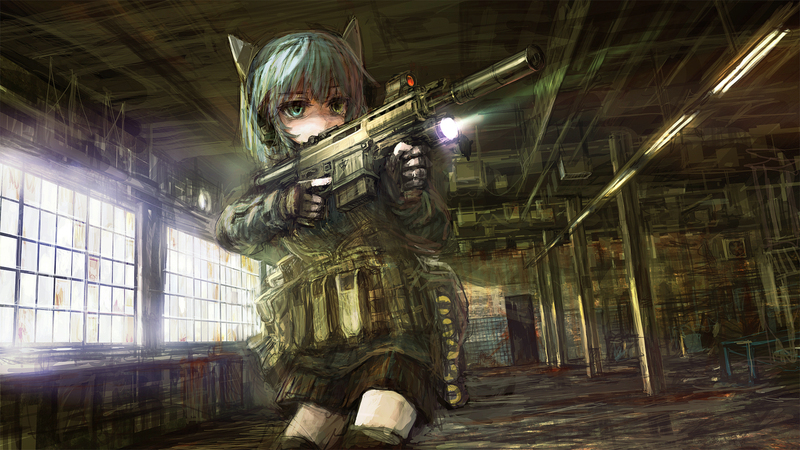 Brilliant artwork ... hell even the SCAR H with surefire vert grip is correctly depicted. The shear amount of detail is superb.